As a college student, finding ways to save money while in college poses a great challenge. It needs someone with self-control and discipline to achieve this. 11 Ways to Save Money while in College is a simple and elaborate guide to the success of saving money while in college. Creating a budget is the first step in saving money in college. Maintaining a strict budget is the most basic tip in saving money. This ensures the most essential items are considered. To ensure you save money while in college one must make sure they strictly stick to the budget. This tests self-control and discipline. One must ensure they find out cheaper and more affordable ways to save on meals. Sticking to a strict rule on food and drinks involves having a strict menu. Apart from the health benefits of maintaining a strict menu, one has the chance to save a few bucks. On drinks, the simplest is saving on the water where, instead of each and every time buying bottled water, one can opt to be carrying their own water in a water bottle. Books are the reason why one is in college. They are essential for one’s stay in college. Saving on books includes getting second-hand books and even buying low-cost editions. Furthermore, making use of the library more often might save one the agony of buying all the books. Transportation is one of the core 11 ways to save money while in college. Most of the college students either live in the campus premises or in the neighborhood. For those living within the premises, unnecessary travel should be avoided unless it adds value to one’s education. For those living around the neighborhood, foregoing driving oneself reduces expenses and saves a few bucks. One can opt riding a bike to school. This in the long run has both health benefits and financial benefits. If one can keep off from using credit cards, then do so. Using a credit card attracts an extra fee. This fee can otherwise be saved by using cash. Since most students don’t have a steady flow of income, it’s advisable to keep off from credit cards. For a student, this is a killer way to save as one of the 11 ways to save money while in college. Bargain shops offer a cheaper alternative to products especially to students. Bargain shops vary from groceries to clothing. So it’s up to the student to try and identify them. Also, some outlets offer discount coupons on some items stocked. As a student, getting a loan for whatever purpose would look enticing. Every loan attracts an interest; even in college one must avoid taking unnecessary student loans. If one can do without it then avoid it like a plague. It’s said that too many books without play makes Jack a dull boy. Entertainment in most colleges is usually money consuming. Finding alternative ways of entertainment might prove to save money while in college. Finding creative inexpensive ways might prove valuable to a college student. This might prove to be helpful if one follows strict living standards as outlined above. One might decide to take accommodation with other students to cost share the bills. A strict way of living must be followed to reap the benefits of 11 ways of Saving While in College. Clothing in colleges uses a sizable amount of money. 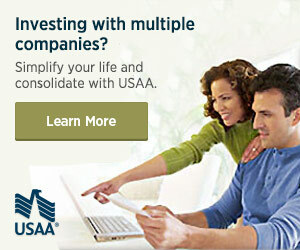 Looking for a cheaper alternative can really boost one’s financial power. One can opt to shop from cheaper stores and even second hand clothes if available on the market. Selling things not needed is one way of disposing of unwanted stuff for monetary value. Avoid throwing away items of monetary value to save money while in college. These 11 ways of saving money while in college can make one leave college debt free after studies. But for more saving tips one can inquire from family and friends for more ways. How do you save money while in college? I’d love to hear your thoughts. My name is Kevin Watts and I am the creator of graduatingfromdebt.com. I was like millions of recent college graduates in heavy debt with very little hope. With the right attitude and discipline, I took control of my financial picture and now I can say proudly that I am debt free. I’m not attending school right now, but I do have a few friends that are. I’ll be sure to pass this on! Thanks for the great tips! Those are really great money saving tips, and I already done some of those, especially the 1st one, creating a budget. I believe that a budget is really essential if a person really wants to save his or her money, that’s why I’ve been having one even since when I was just a third year high school. And I can say that I’m doing pretty great saving my allowances nowadays. When I was in college, I do save a lot by preparing my own food and always bringing a bottle water with me instead of buying everyday. I also avoid soda and other commercial drinks and have water instead. I get to save a lot and I stay healthy as well. These eleven tips can be effective provided you are consistent in implementation. Students, who learn to budget early, will find it easier to do the same when they become professionals.